Recently, I was appointed a THVIP with Teaching the Hudson Valley. The role of a THVIP is to “find new and better ways to help reach Hudson Valley children and young people with place-based education,” both in and out of the classroom. I’ve been thinking about some of the great historical sites around Orange and Ulster counties. A personal favorite, and not just because I once worked there, is the New Windsor Cantonment. 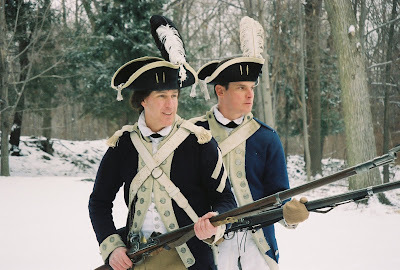 The New Windsor Cantonment describes itself as &#8220where the Continental Army under George Washington spent the last winter and spring of the Revolutionary War.” It was in the fall of 1782 that the northern wing of the Continental Army arrived in New Windsor to spend the winter until the campaign season renewed in the spring. When all arrived, over “7,000 soldiers and 500 woman and children” set up camp. The soldiers built log huts and a temple building- in short, they created what amounted to a large town. 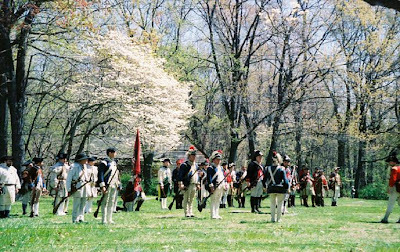 When visiting the New Windsor Cantonment State Historic Site, located on Temple Hill, students are transformed back into the eighteenth century. Uniformed soldiers conduct musket demonstrations, make shingles and hew beams with period-correct tools. The site also includes a blacksmith shop, as well as a replica hut for cooking demonstrations, period medical displays, and more. The site’s Mountainville Hut was brought to the cantonment by the Temple Hill Society in the 1930s, a group dedicated to the preservation of the New Windsor Cantonment for future generations. Students can follow-up their visit to the New Windsor Cantonment by immersing themselves in the numerous primary documents pertaining to the site. These include records pertaining to the Badge of Military Merit, devised by Washington, and a forerunner of the modern day Purple Heart. Students can also look at Simeon DeWitt’s professional survey map of the New Windsor Cantonment while comparing it to a map drawn by a soldier stationed there, William Tarbell. 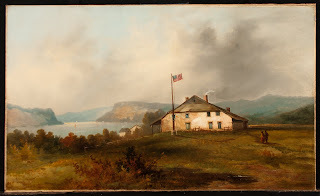 Additionally, Washington’s papers relating not only to the Cantonment, but also to his stay at his nearby headquarters in Newburgh at the Hasbrouck House are available, as is a diary of Lt. Benjamin Gilbert, an officer from the Fifth Massachusetts Regiment. This is just one example of a place-based education destination, but there are many more. If leaving the classroom is not an option because of budget constraints, many of the local historic sites will visit classrooms &#8211 sometimes with artifacts or replicas &#8211 and provide programs tailored to different age groups. The Hudson Valley has so much to offer to enhance the learning of students! For more information about the New Windsor Cantonment, call (845) 561-1765 ext. 22. The site is co-located with the National Purple Heart Hall of Honor on Route 300 (Temple Hill Road) in the Town of New Windsor, four miles east of Stewart Airport and three miles from the intersection of I-87 and I-84 in Newburgh. Photo: A living history event at the New Windsor Cantonment (courtesy Cantonment staff). Nice piece AJ! I am happy to see NWC get props, because the staff do a wonderful job — they are very strong historians, educators, administrators and advocates for historic preservation — quite a skill set. With limited resources they do really wonderful work.